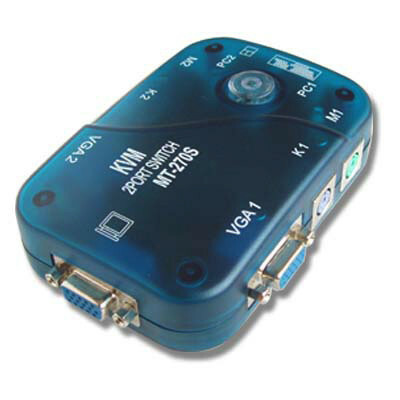 Description *This 2-port KVM switch box allows you to share 1 set of keyboard, mouse and monitor for 2 computers. *PS2 interface for keyboard and mouse. *Supports SVGA, VGA and multi-sync monitors. *Compact size design, easy to carry. *Hot plug - add or remove connected PCs for maintenance without powering down the KVM switch or PCs. *No software required - easy PC selection via push buttons, hot keys *LED Display for easy status monitoring. *Buzzer sound for switching port confirmation.